The demonstrations along the Israel–Gaza border dubbed the ‘Great March of Return’ are a calculated and desperate propaganda move, largely organised and funded by Hamas alongside other terrorist organisations. Hamas, which has ruled Gaza since 2007, is designated in part or entirely a terrorist organisation by the United States, the European Union and Australia. 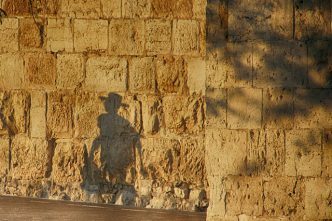 It’s using the campaign to respond to its own international isolation, recent Arab–Israeli rapprochement and more overt American support for Israel’s position, such as the recognition of Jerusalem as Israel’s capital. This ‘march’—a series of demonstrations that began on 30 March and that are intended to continue until mid-May—is neither a grassroots campaign against ‘occupation’ nor a demand for amelioration of the admittedly difficult living conditions in Gaza, as some have implied. It’s also certainly not ‘a rebuke aimed at Hamas’, as Mohammed Ayoob said in his 3 April article, ‘Gaza points the way to Palestine’s future’. Hamas is authoritarian and forbids independent political actions in Gaza—and senior Hamas figures have been both leading the protests and organising them to ensure they occur. Ayoob is correct that the protests are a ‘rejection of the two-state solution’. That’s Hamas’ position, and Hamas is the leading force behind the protests. The demonstrations are explicitly about championing the ‘right of return’—a legally baseless demand that descendants of refugees from the 1948 war return to their ancestral homes in what is now Israel. While a key part of Palestinian discourse, the right of return is simply a euphemism for the destruction of Israel as a Jewish state by demographic means—an effort to reverse the outcome of the 1948 War and turn all of Israel into an Arab-dominated state called Palestine. The Hamas leaders who’ve led the demonstrations were explicit about this: ‘Palestine and Jerusalem belong to us. We will break the walls of the blockade, remove the occupation entity and return to all of Palestine,’ Hamas’ political leader, Ismail Haniyeh, declared on 9 April. By drawing Israel into a no-win public relations nightmare, Hamas hopes to re-establish its own relevance internationally, and to deflect attention from its ruinous administration of Gaza. The historical background to these events is that Israel expelled thousands of its own citizens from settlements in the Gaza Strip in 2005, leaving it under full Palestinian control. In 2006, Palestinians elected Hamas to run the Palestinian Authority (PA) and in 2007, Hamas drove the competing Fatah faction of Mahmoud Abbas out of Gaza in a brief but bloody civil war. Since then, Israel has imposed a blockade of military goods entering the strip (while Egypt blocks the entry of virtually all goods) because Hamas refuses to moderate its uncompromisingly hostile stance towards Israel, firing rockets, building tunnels into Israeli territory for terrorist purposes and constantly diverting civilian aid for military use. Since 2008, it has initiated three wars with Israel that have left the area devastated. Its relationship with the secular Fatah, which rules the West Bank, has been overwhelmingly hostile despite nominal reconciliation agreements, with reported coup attempts in the West Bank and a recent assassination attempt against PA Prime Minister Rami Hamdallah. Fatah head Mahmoud Abbas, for his part, continues to squeeze Gaza by cutting salaries, restricting medical supplies and declining to pay for electricity and other services to the area. Israel obviously can’t accept demands for its own destruction, nor can it allow thousands of Palestinian rioters to breach the Gaza border fence and march on Israeli towns—a scenario that would likely lead to massive bloodshed. Because Hamas fears it wouldn’t survive a fourth war, it’s opted for mass mobilisation and demonstrations with major violence that includes repeated attempts to place explosives along the border fence. 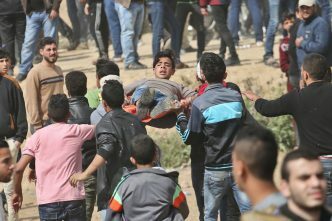 Having its people killed and injured is the only currency it can offer in the Palestinian and international political arenas. Ayoob essentially endorses all this and argues that Palestinians should reject the two-state solution in favour of using the ‘right of return’ to bring about the dissolution of Israel into ‘a bi-national and multi-religious state’. He basically supports Hamas’ goals but wants it to focus less on ‘Islamist ideological rigidity’. Sadly, his views are typical of those held by many supporters of Palestinian nationalism. 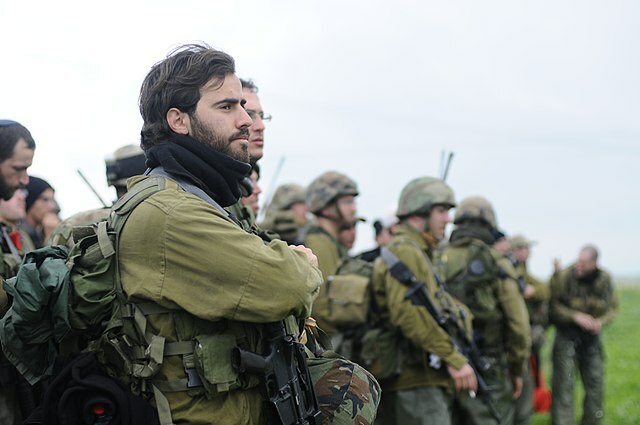 Having evolved from believing in the 1960s that the armies of Arab states would destroy Israel through a reliance on terrorism and economic boycotts, to a belief that international bodies can impose a resolution without Israeli consent, many Palestinian partisans are convinced that Israel’s establishment can still be reversed with sufficient willpower, patience and tactical flexibility. But it’s a pipe dream to imagine that mass demonstrations demanding the incorporation of millions of Palestinians into Israel as full citizens, who can then ‘democratically’ turn the country into Palestine, will be any more effective. These Palestinian nationalist fantasies lie behind repeated missed opportunities for statehood, and the repeated failure of Israeli–Palestinian negotiations, despite three serious Israeli offers of Palestinian statehood in the West Bank and Gaza since 2000. 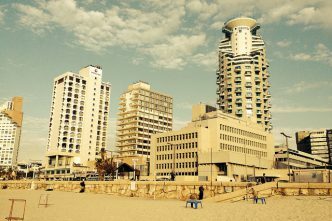 After 70 years, Israel is not only the most successful and coherent society in the region, it has never been better accepted internationally, including, increasingly, by its Sunni Arab neighbours. Perhaps, at the conclusion of the latest theatre along the Gaza borders, more Palestinians will recognise that Israel is permanent. No tactics, steadfastness, self-sacrifice or willpower will dislodge it, and the only way forward is a negotiated outcome that recognises the validity of both Jewish and Palestinian rights to self-determination in the area between the Jordan River and the Mediterranean. 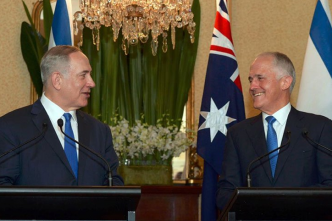 Tzvi Fleischer is editor of the Australia/Israel Review at the Australia/ Israel & Jewish Affairs Council, and has a PhD in international politics from Monash University. Image courtesy of Israel Defense Force via Wikimedia Commons.